Ian Brown is an artist and Associate Professor of Fine Art at Staffordshire University. He is currently working with Royal Botanical Gardens, Kew on a project, An Incredible World Of Beauty And Terror, which investigates the relationship between humans and plants. It brings together diverse positions from botany, archival processes, scientific illustration, natural history documentaries and science fiction writings. Prof Dieter Volkmann is the (retired) co-leader of the research group Cytoskeleton-Membrane Interactions at the Rheinische Friedrich-Wilhelms-Universität Bonn. Their research into plant signalling and behaviour describes a growing, but also old and fascinating field in plant biology addressing the physiological and neurobiological basis of adaptive behaviour in plants. Justus Weiß studied Anthropology in Heidelberg and specialized in ethnopharmacology. He currently works at the anthroposophical company Wala Pharmaceuticals as a junior researcher in the fundamental research unit with a focus on ethnopharmacology, understanding the epistemologies and practices of medicinal composition as well as working on fundamental pharmaceutical processes, but his interests are broadly ethnobotanical. 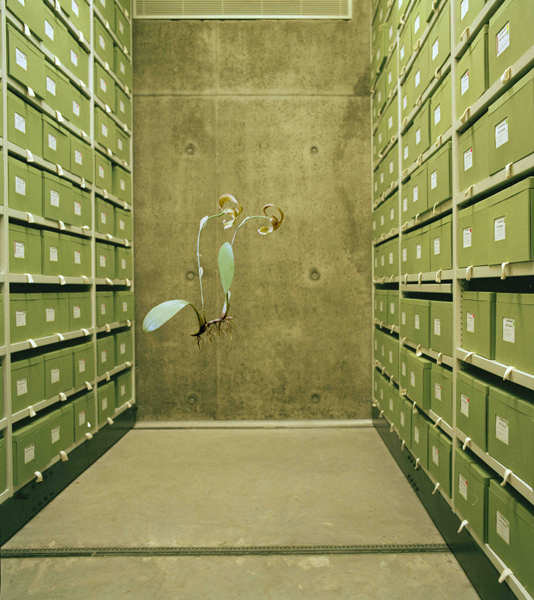 Myriel Milicevic is an artist and collaborator in Ethnobotanical Station, a mobile module that draws upon the diverse lineage of knowledge to study the complex relations between plants and humans and exploring new ways to relate to the plant life around us. A combination of mythology and science fiction combined with qualitative science is used to create an experimental framework that regenerates traditional knowledge. Ulrike Mohr is an artist based in Berlin. She describes herself as a hitchhiker on scientific method, effectively parasitizing its process while strategically deviating from it whenever her work demands. For the past years her sculptures and installations have focussed on charcoal; its function but also its origins, production process and contextualisation in a temporal dimension. Alex Toland is a visual artist and environmental planner. She has been a research fellow in the DFG Graduate Research Program ‘Perspectives on Urban Ecology III’ at the Technischen Universität Berlin, Department of Soil Protection since 2009. Human-plant interactions are always present in her work involving urban environments, fields of human-ecology, invasive biology and landscape architecture. Pinar Yoldas is a cross-disciplinary artist and researcher and the 2013/14 resident at the Vilém Flusser Residency Programme for Artistic Research, run by transmediale and the Berlin University of the Arts (UdK). Her work investigates social and cultural systems in regards to biological and ecological systems. Her current project ‘An Ecosystem of Excess’ is an attempt to create a post-human eco-system, a living community of speculative organisms and their environment. SATELLITE SALON: PLANT TO HUMAN is brought to you by artists Lucy Powell and Andrea Roe and writer-curator Dr. Sara Barnes. The salon hosts artists, scientists, writers and curators in various venues in Berlin and the UK. We aim to establish stimulating dialogue around changing themes, leading to a productive network of interested individuals with an eye to facilitating art/science collaboration. Image: Ian Brown, from his project An Incredible World Of Beauty And Terror 2013. Courtesy the artist.